Al Jazeera’s foray into the U.S. cable news business is going off the air. The broadcaster, owned by the Qatari government, is shutting its U.S. cable news operation just three years after spending $500 million to buy the network. Chalk it up to the double-whammy of poor ratings and the falling oil price. The station, known as Al Jazeera America or AJAM, went live in August 2013 and spent hundreds of millions more scooping up scores of well-known journalists, like CNN’s Ali Velshi. It also produced some award-winning work. Despite the solid reputation of Al Jazeera English – its non-U.S. operations – its American counterpart could never quite overcome its foreign status or dispel suspicions that it was a propaganda vehicle for Middle Eastern governments. So it never gained traction with viewers; AJAM has around 19,000 viewers, according to Nielsen. CNN, by comparison, attracts almost 500,000 people. It also tried to break into the U.S. market just as the media landscape is undergoing wrenching changes. More people are dropping their bundled cable subscriptions and opting instead to watch only what they want on streaming video – or shun traditional broadcast news entirely. Al Jazeera is, at least, sticking with its American digital news offering. AJAM had other issues, too. It was embroiled in a lawsuit with the previous owners of its U.S. network, including former U.S. Vice President Al Gore, over holding back some $65 million of the purchase price. Another high-profile legal dispute came from a former employee who accused the company of anti-Semitism and sexual discrimination. AJAM Chief Executive Ehab Al Shihabi was ousted shortly thereafter. The plummeting price of black gold, though, may have been the final straw. When AJAM went on the air for the first time, a barrel of oil fetched around $110. It now trades at just above $30. The drop has prompted many oil-dependent states to bring money invested overseas back home or offload assets – Saudi Arabia, for example, is considering selling a stake in its national oil company, Saudi Aramco. Ending Al Jazeera’s failed U.S. foray won’t do a great deal for Qatar’s budget. But AJAM looked like an easy plug to pull. 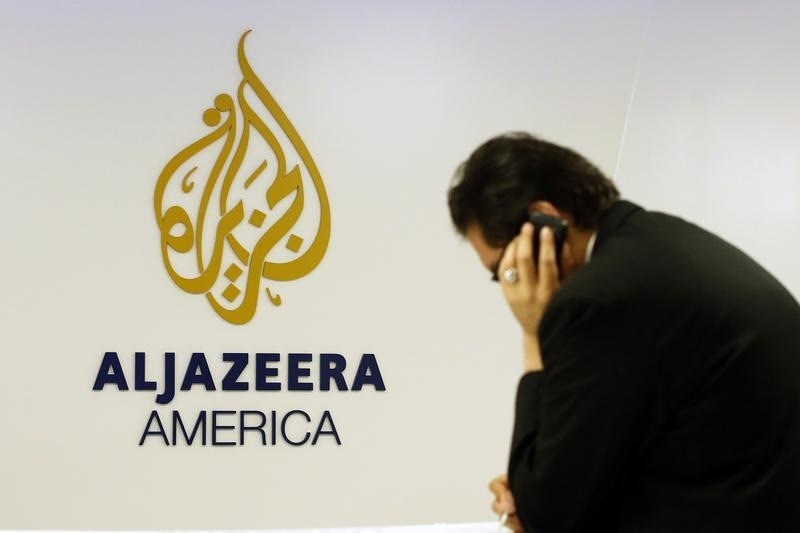 Al Jazeera America said on Jan. 13 that it will cease operations of its cable news network by April 30. The company cited the “economic landscape of the media environment,” though it intends to expand its digital operations.